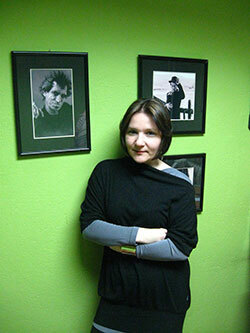 Ilina Jakimovska is an author and professor at the Institute of Ethnology and Anthropology at the Ss. Cyril and Methodius University. She has published the following books: The Body: An Ethnological and Anthropological Study and A Barn for the Soul: The Ethical in the Proverbs, as well as two collections of prose and poetry: “Sun in a Jar” and “The Most Important Game” (with drawings by Ivan Jakimovski). She edits and writes for the Bookbox part of off.net portal. She is an editor-in-chief of “Tabahon” publishing house.